I really like this book because it is different from other books. It is an adventure and it is not all about humans. It is about DOGS! It has an amazing plot. The way the author wrote the book it is really interesting and intriguing to read. My favourite character is Mouse because he thinks he is not brave. In the end he helps a ton and I just love his personality. One of my favourite parts is when Mouse is trying to rescue the puppies and the cats think he is a fox. 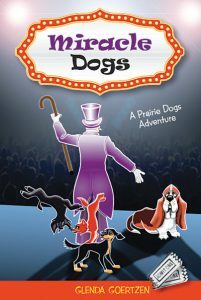 This book is a good choice for anyone who likes adventure and loves dogs because it is really fun to read. Review by Easten, age 12, grade 7.